When night falls, you never know what the cover of darkness may be kidding & with the MNV1/1x Night Vision Monocular you can see in the dark and stay hidden! 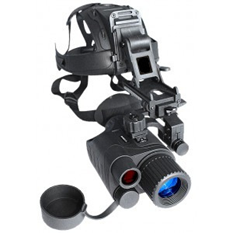 Using the most advanced infrared technology in its category and paired with a high resolution intensifier, this monocular transforms barely navigable low light and durable, yet lightweight, rubber armor body protects the unit and give the user a comfortable gripping surface, perfect for extensive use. 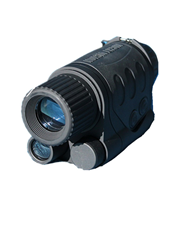 With long range viewing capabilities and a lengthy battery life, this easy to use MNV1/1x Night Vision Monocular is perfect for a wide range of recreational and professional uses. Switching mechanism and the cover of battery compartment are comfortable to use even operating in gloves and in total darkness.